Hello friends! Welcome to The Prep By D! I was recently scrolling through my Pinterest the other day and came across a whole lot of beauty hacks, so I decided to share with y’all some hacks that I know will work and I even tested one of the hacks too! I hope you enjoy another one of my life hack posts! Let’s begin. I’ve actually tried this hack before and it actually works! When you are dealing with fluffy or staticky hair, take a dryer sheet and you can either place it on your hair brush or put it on your hand and slide it through your hair. This will decrease the amount of puffiness and staticky-ness in your hair. Before any special event or even school, I always squirt a tad bit of perfume to help me smell good. So when I saw this hack, I had to put it to the test. All you do is spread a little bit of Vaseline on the spot where your tend to squirt your perfume, and it will last longer than if you didn’t add Vaseline. This is probably the best hack I’ve ever seen and tried!! So, to give y’all the back story of this hack, I’m going to start with my sister. My sister has really small eyelashes, so she was researching easy ways to help her eyelashes grow, and she found that if you dip a dry mascara brush into Aloe Vera and brush it through your lashes, they will grow. My sister did this for about a week and a half and saw a change in her lashes in like 5 days. She noticed her lashes were longer and fuller! This is definitely something to try out to achieve fuller lashes in a nick of time! When in a rush, a super easy curled pony tail can leave you effortless curls without the work! All you do is throw your hair up in a ponytail. Taking the hair, separate it into two or three sections and curl it. Then, let your ponytail down and you have beautiful curls that took no more than 10 minutes! I actually tested this hack to see if it actually worked; this hack resolves dried up mascara with hot water. I read that all you do is take the brush of the mascara wand and run it under hot water for about two minutes (or so). Then, place it back into the tube of the mascara and shake up the tube. So after completing all of these steps, I then tested it on my lashes to see a before and after, after I tried this hack. The before is the mascara before I added the hot water, and the after is after I added the hot water and shook up the tube. 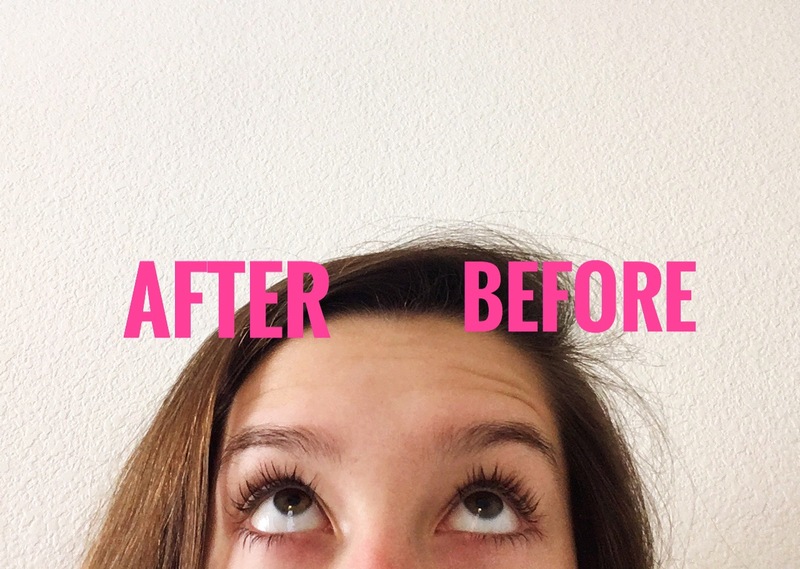 I really didn’t see a whole change in the mascara, so this hack was a fail! I hope you enjoyed this hack post! Have a great Labor Day! See you soon. HUGE Fall Haul | J.Crew, AE, and More!